With details of the updated GLC SUV recently announced, Mercedes-Benz now turns to the new GLC Coupe — the first major refresh since arriving in 2016, replacing the boxier (arguably better looking) popular GLK. Now available in two versions, the new multifunction steering wheel takes on a sportier look and feel for 2020 flossing a more distinct style versus the outgoing model. Expect more functionality at your fingertips, including Touch Control buttons to access the instrument cluster; Active Distance Assist DISTRONIC, and Telematics functions can be operated via the multifunctional touchpad on the centre console, which replaces the rotary COMAND controller. The next-generation 4-cylinder now powers the 2020 GLC Coupe. With a 14-hp bump, the updated 2.0L inline-4 cylinder turbocharged engine puts down a respectable 255-hp and 273 lb-ft of torque. All paired to a 9-speed automatic transmission as before. 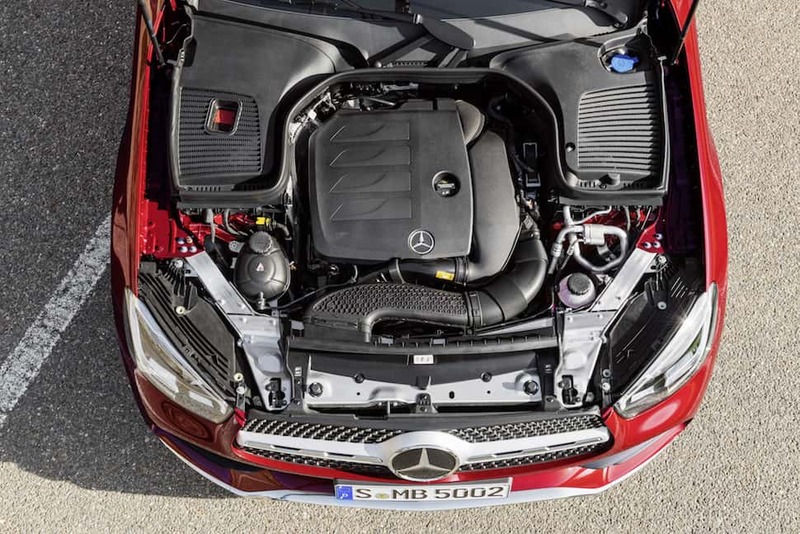 Aside from the increase in power, Mercedes focused on reducing CO2 emissions while improving fuel efficiency via the CAMTRONIC variable valve control. Nobody likes paying for extra features when shopping for a luxury vehicle. So it’s good to see MB ramping up the Intelligent Drive Package in the GLC Coupe. The package will now include a longer list of features like Active Steering Assist, Active Brake Assist with turn-off and cross-traffic function, and Active Lane Keeping Assist to name a few. Also new is the updated MBUX system adding a wider-range of operating options including Touch Control on the multimedia display and Voice control. Plus, the optional Augmented Reality navigation incorporating real world video from the front camera. We haven’t tried this out yet definitely need too, soon. The German’s sport utility lineup is looking healthy these days with 7 models including the small GLA, GLC, GLC Coupe, mid-size GLE, GLE Coupe, three-row GLS, and adventure-ready G-Class. What is the difference between the Mercedes-Benz GLC Coupe and SUV? The main difference is the design and bodytype. The coupe takes on a more sedan-esque profile with that sportback, sloping rear design. Whereas the GLC SUV is void of that long, sweeping rear windshield, taking on a more conventional SUV look with a sharper drop-off behind the C-pillar. So really, it just comes down to styling and driving dynamics. Overall, the GLC Coupe is the ideal empty-nester luxury mobile, offering the sportiness of a sedan with the space and cargo of a crossover or SUV. However, the ambiguous styling may not be for everyone — we feel the boxy GLK should make a comeback. But that’s just us, and we’re not empty nesters. For latest pricing and to learn more about the compact 2020 GLC at the Canadian site and US site.